"monstrous cones of solid brick lift their peaked heads above the roofs of the houses"
"Even in the 190's, some pottery workers still lived in small insanitary houses under the shadow of the factories and bottle ovens. 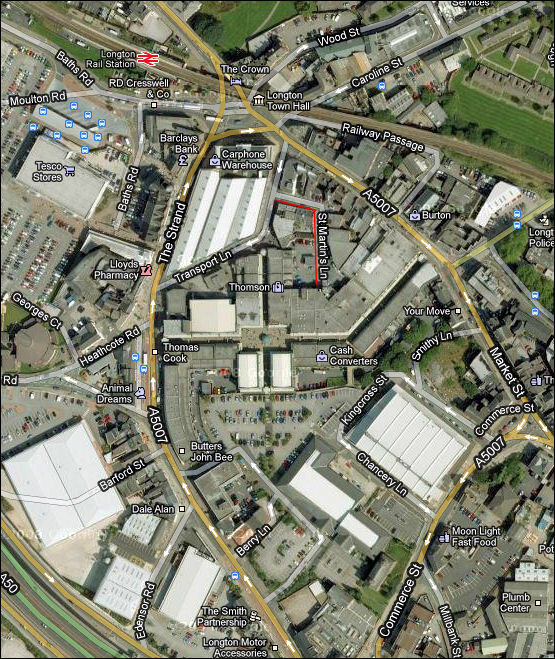 This typical scene, long vanished, was in St. Martin's Lane, Longton. 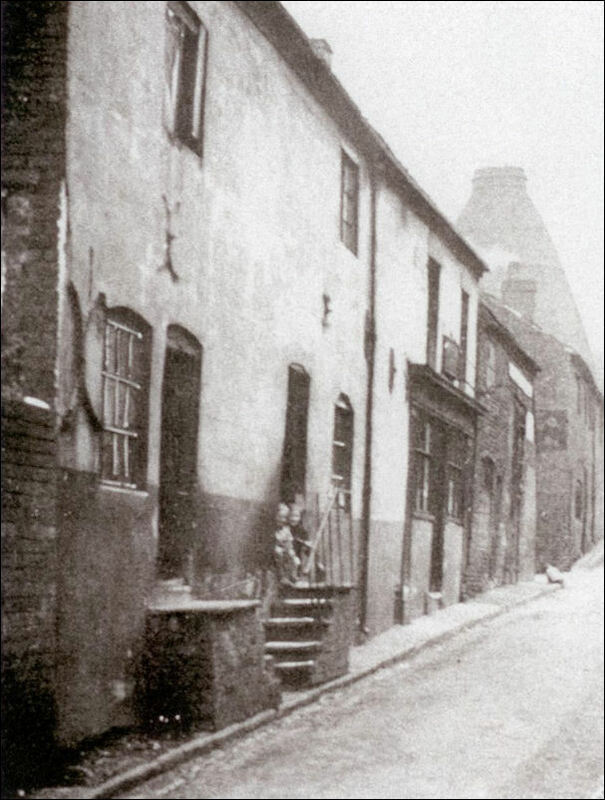 One visiting writer described it as "Victorian industrialism in its dirtiest and most cynical aspect"
".... the Staffordshire Potteries were, in the main, made up of hundreds of relatively small potteries (hardly factories in the accepted sense of the word) situated in narrow streets. These countless small potteries changed ownership at frequent intervals as the trade was highly competitive and profit margins were cut to unrealistic levels. This fact is underlined in page after page of this work, where the several changes of ownership or partnership are recorded. These smaller potteries were mainly concerned with producing ordinary domestic earthenware, decorated with printed designs -inexpensive ware..."
"The aspect of the streets and thoroughfares of Stoke is anything but attractive to a stranger, presenting more the appearance of a fourth-rate London suburb than a town of business. Longton. 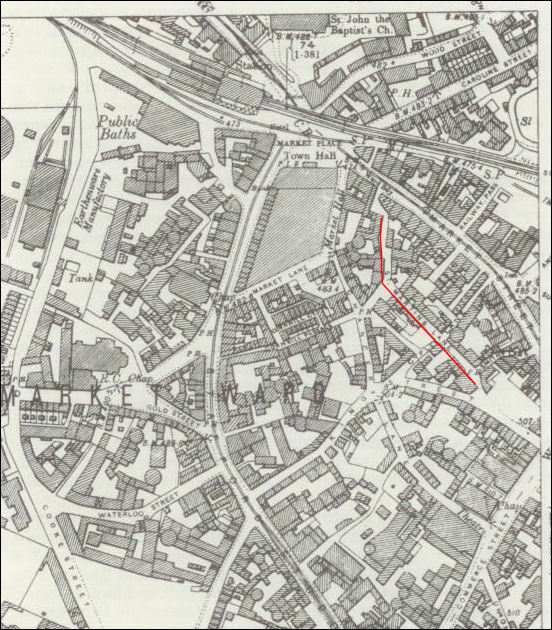 or Lane End... is perhaps the most characteristic town in the whole of the Pottery district. It is, as the name implies, a very long town, and is undoubtedly the most crowded, and if we are to judge from outward demonstrations, the least polished locality in the whole borough. It is place, however, where a vast deal of business is done and abounds in manufactories, some of considerable extent, which do a large trade. A great many of the others are in the hands of men of limited capital, not a few of whom produce an inferior kind of ware suited to a cheap market. It is by the exertions of the Longton potters that the working-man and the cottages are enabled to set a china tea-service on their tables, brilliant in colours and gold, at a cost we must not name but which the humblest house-keeper can contrive to pay. An immense quantity of the low-price English china, as well for exportation as for home consumption, is here manufactured weekly,..."
The Baddeley family of potters operated a umber of potteries, including in St. Martin's Lane, Longton.